"Music is a work of art that enters through the ears going straight to the heart." We each have a unique connection to music that affects us on an intimate, personal level. The most magical Disney moments and memories are accompanied by a brilliantly orchestrated soundtrack. Music serves to deliver the connection between a story and our lives. 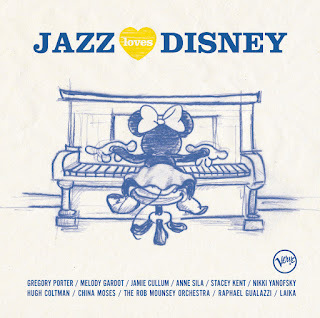 Taking our love for the magical music of well-loved Disney songs to a more sophisticated level, newly released Jazz Loves Disney is a melodic compilation album of jazzy tunes from our friends at Disney Music. Thank you to the promotional team from Jazz Loves Disney and the One2One Network for providing a pre-released media preview for the purpose of facilitating this advertorial content. Rarely have we taken our creative performances anywhere further than the cozy confines of our home or car, however the magic and memories remain with us always. My family always had the soundtrack (album) from our favorite Disney movies for us to listen to over and over again. Fast forward a bunch of years and if you were to ride along or hang out with my family, prepare for a stellar rendition of Anne Sila's Let It Go from the movie Frozen, which is certainly always playing on repeat. Another fave Jazz Loves Disney song is the unofficial theme song for Woody from Toy Story, You've Got a Friend in Me warmly delivered by Hugh Coltman admitting, “Having kids who are Toy Story fans and being a fan of Randy Newman, the song choice was really simple for me". 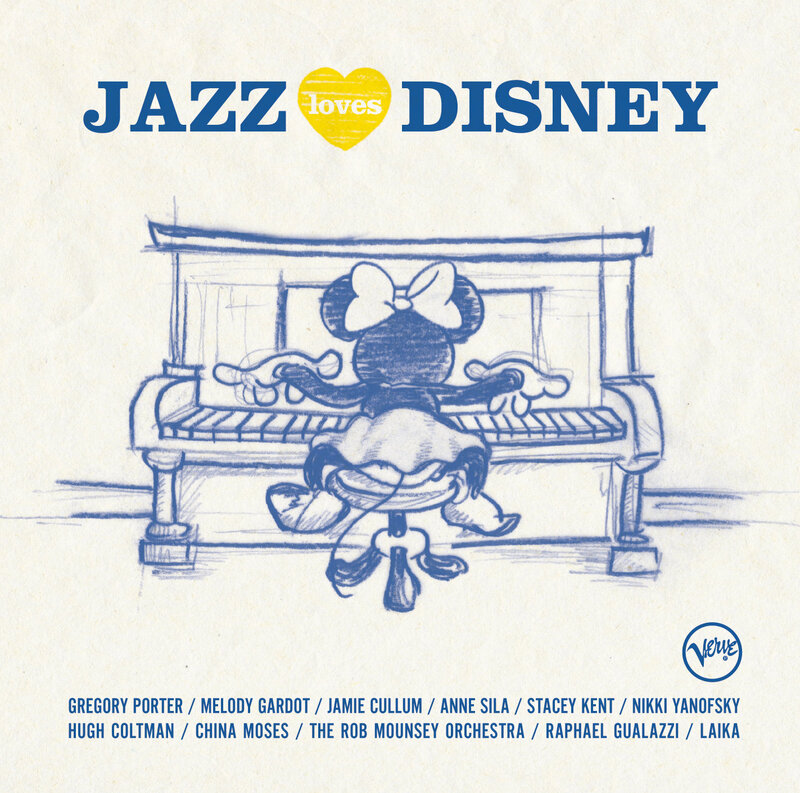 Nationally acclaimed for creating Academy Award-nominated and winning Disney songs, music from the Jazz Loves Disney creative team was recorded in studios in Paris, London and Los Angeles. 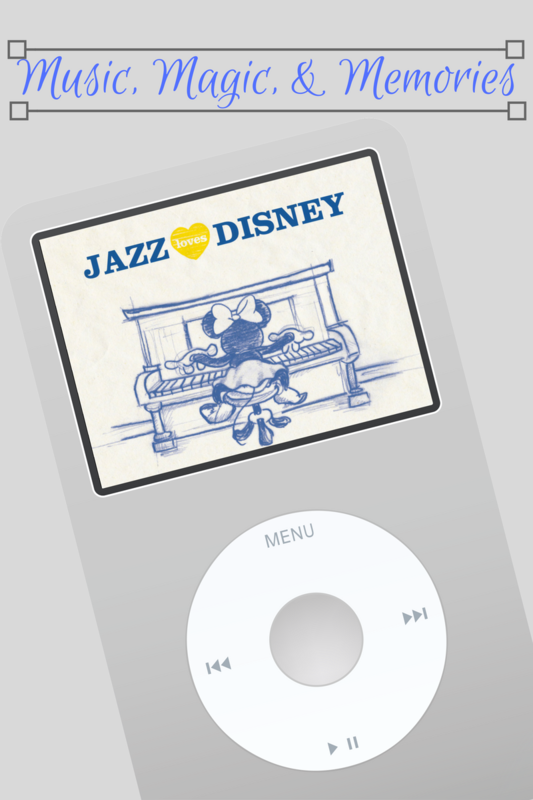 Creatively produced by Jay Newland, and arranged and directed by Rob Mounsey, the jazz arrangements of popular songs that every Disney fan adores is a treat for listeners of all ages. The track list features many tunes we have enjoyed singing, humming, and dancing along to, with a smooth jazz rhythm. 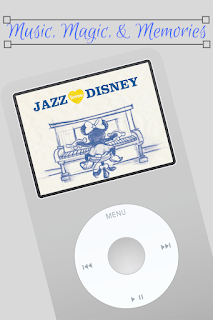 Lover of the music, magic and memories of Disney will delight in Jazz Loves Disney, available on iTunes and Amazon.